While brushing and flossing is the foundation of long-term oral health, there are other elements to your oral hygiene routine that are also important. Here, our Calgary dentists describe all the components of a complete oral hygiene routine. As you probably already know, brushing is the most important element of your oral hygiene routine. You should brush your teeth for a full two minutes at least twice a day. Be sure to brush the fronts and backs of all your teeth, as well as chewing surfaces. A good strategy to ensure thoroughness is to spend 30 seconds on each quadrant of teeth: upper left, upper right, lower left, and lower right. Flossing allows you to remove food particles and debris from between your teeth that your toothbrush can’t reach, thereby preventing decay from developing in these tight areas. Insert the floss between each set of teeth, and run it up and down the sides of each tooth, pulling the floss taut into a “c” shape. You should visit the dentist every 6 months for a professional cleaning and check-up. The dentist and hygienist have the tools and expertise to remove plaque buildup that all the brushing in the world can’t get rid of. Your dentist will also be able to identify and treat developing dental health problems before they become serious, provided they see you frequently enough. Eating healthy is good for your whole body, including your teeth. A nutritious diet that's high in calcium will help keep your teeth strong and healthy into old age. Some foods that are beneficial for your teeth include: leafy greens, carrots, apples, yogurt, almonds and cheese. Talk to your dentist or a registered dietitian for a list of foods you should be eating for good dental health. Supplementary oral hygiene products can also help support your oral health. 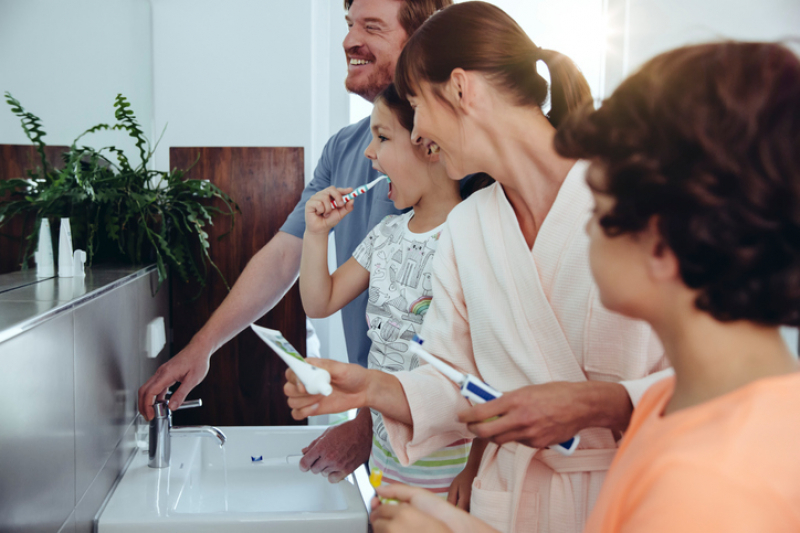 Things like mouthwash, interdental cleaners, and oral irrigators can make a positive impact on your overall dental health. Just remember that these types of products should not be used as a replacement for brushing and flossing. Rather, they should be used to support and already complete your brushing and flossing routine. 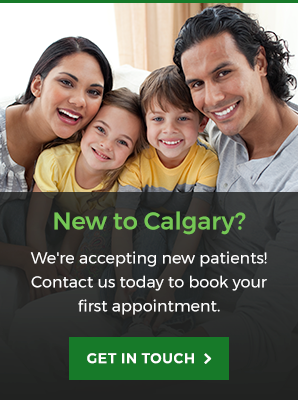 For more information about developing and maintaining a complete oral hygiene routine, contact our office to book an appointment with our Calgary dentists today!